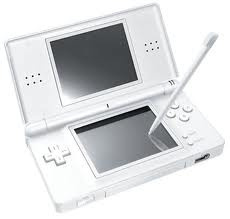 The DS, in its various forms, has not only been the biggest selling handheld console of all time, but has also played a role beyond that of a simple gaming machine. As we reported last year, Art Academy has helped students with their creative skills, while there are plenty of educational software options available. Reports in Japan are now suggesting that the role of the DS in the classroom still has space to evolve. As reported by Andriasang, a major communications company is working with Nintendo to develop speech recognition technology. The purpose of this is to assist disabled children by converting the teacher's speech into text on the DS screen. The system will save the information so that it can be accessed by the pupil at any time, while communications between the DS systems will also be utilised. Although this is only a trial in two regions of Japan, it's a good example of gaming technology being used to support and improve education. If you want to see the system in action, a video of the original Japanese news report can be accessed at http://www3.nhk.or.jp/news/html/20120130/t10015625431000.html. It would be cool if the DS had something like the IPhone 4S' Siri. Only Siri doesn't work too well. Face recognition. Totally called it. You heard it here first. Hopefully. Security Robot: Where is your face pass? @#2 What would happen if you got plastic surgery. Wasn't the mic on the ds not so great? Like it was pretty bad at voice recognition. sounds cool it would make the ds even more popular! A Siri based off this would be cool. But first, the software for the disabled. I have always said Nintendo has left the largest hunk of money on the table with the DSi. If they just stop thinking Pokemon and Mario for a moment, and think more Mobile Info and Wiki accesss maybe, they would easily double the lifetime and maybe even profits of this concept.. Thier limitation to gaming is thier downfall overlooking a windfall of money and uses. Done right it could have rendered the netbook obsolete. In the words of Anakin Skywalker: "Most Impressive!"